Content .. 27 28 29 30 ..
3. Fit channel to door, secure with 2 bolts. 4. Refit window lift motor/control panel assembly. 2. 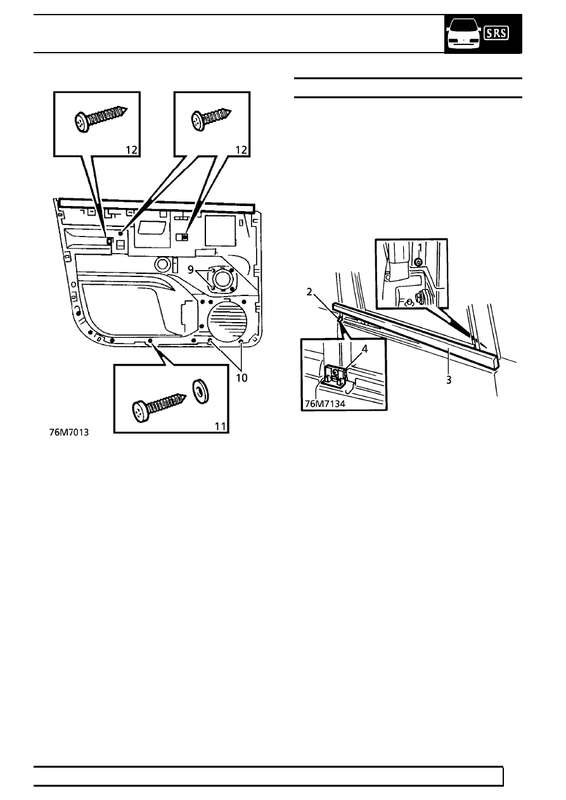 Remove rear door carpet retainer. 3. Remove rear door aperture seal. 4. 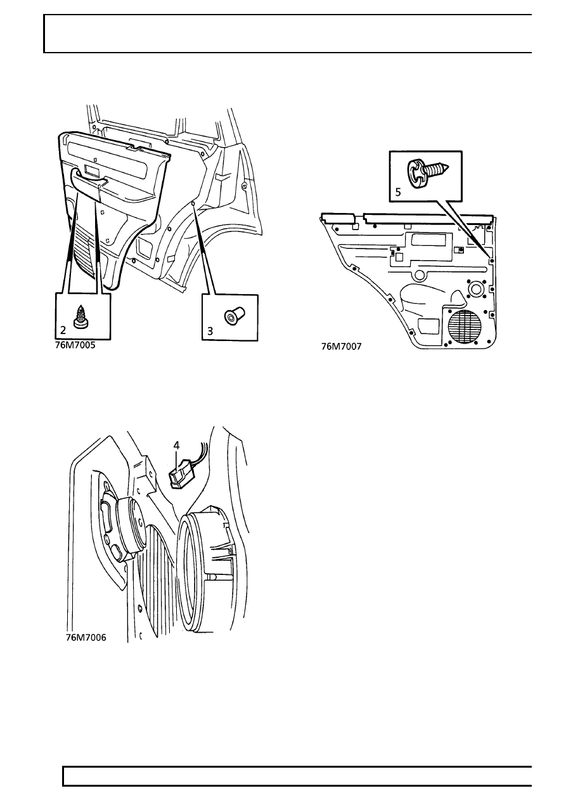 Fit rear door aperture seal. 5. Refit rear door carpet retainer. 1. Remove remote handle escutcheon. 2. 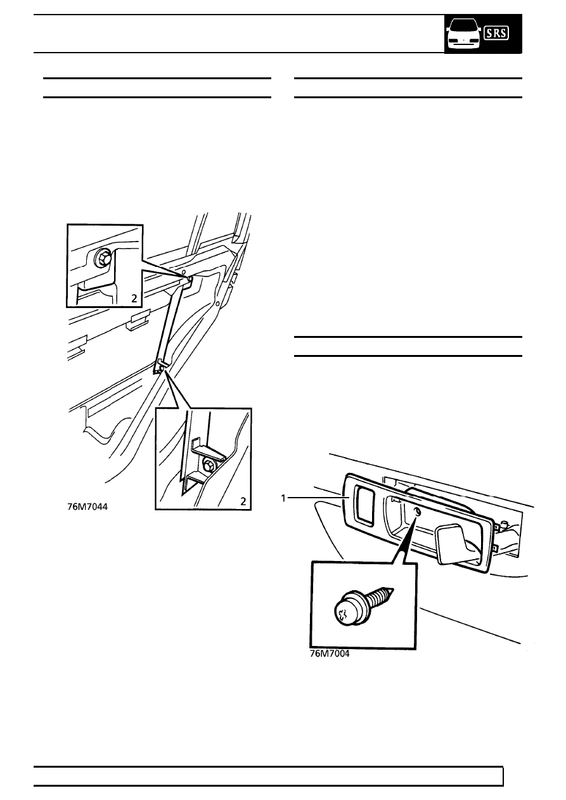 Remove 2 screws securing trim casing. 3. Release 11 door trim casing retaining studs. 4. Disconnect rear door speaker connector. 5. Remove 11 trim casing retaining studs. 6. Remove 4 screws, remove upper speaker grille. 7. Remove 4 screws, remove lower speaker grille. 8. Remove 3 screws, remove arm rest. 10. Remove trim from door casing. 11. Fit trim to door casing. 13. Tighten screw securing retaining clamp. 14. Fit arm rest to trim casing, secure with 3 screws. 17. Fit 11 trim casing retaining studs. 18. Fit and align door trim casing. 19. Secure 11 trim casing retaining studs. 20. Tighten 2 screws securing trim casing. 3. Remove seal and finisher assembly. 4. Remove screw and securing clip. 5. Fit clip to door, secure with screw. forward edge, secure with screw. NEVER lever directly against body panels. 1. 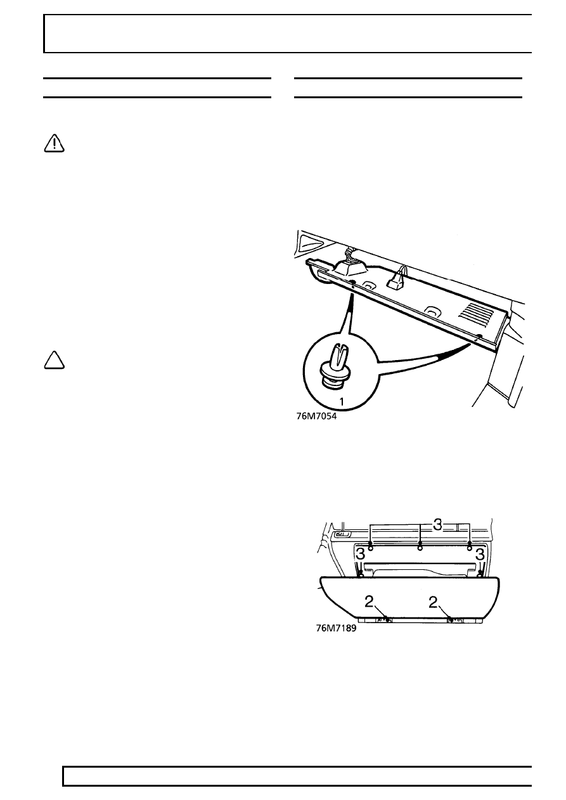 Remove relevant wheel arch liner. 3. Remove rubbing strip from single clip. NOTE: Rearmost clip is unique. 5. Remove nut securing rear of rubbing strip. 9. Remove screw securing rear of fininsher. 1. Remove centre screw from 2 scrivet fasteners. glove box. Release glove box from fascia. 4. Disconnect glove box lamp multiplug.